Despite there being no shortage of royal babies and marriages to celebrate in recent years, UK media was once again ripe with slogans, puns and pretty pictures celebrating the new prince's birth. Campaign takes a closer look. 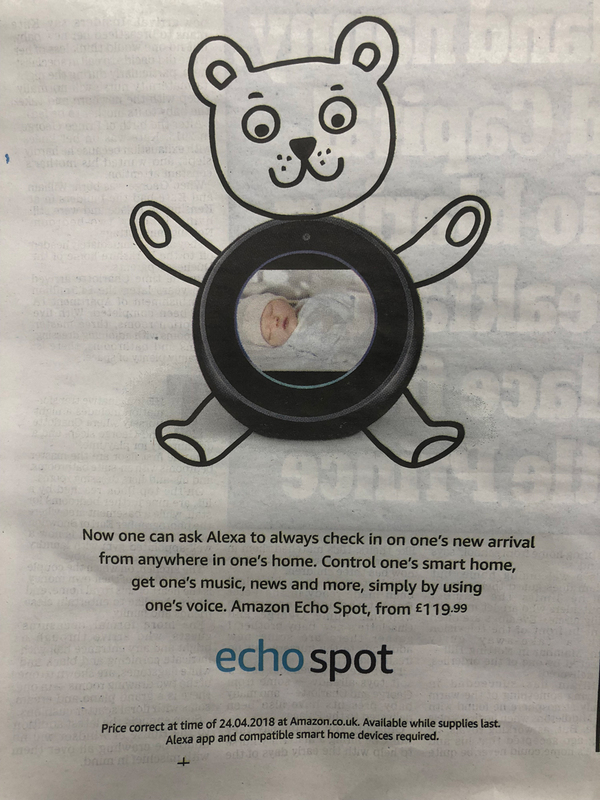 Amid all the spreads and souvenir pullouts this morning, there was only a handful of major display ads that included a nod to the royal child - despite the announcement coming early on in the day yesterday morning. 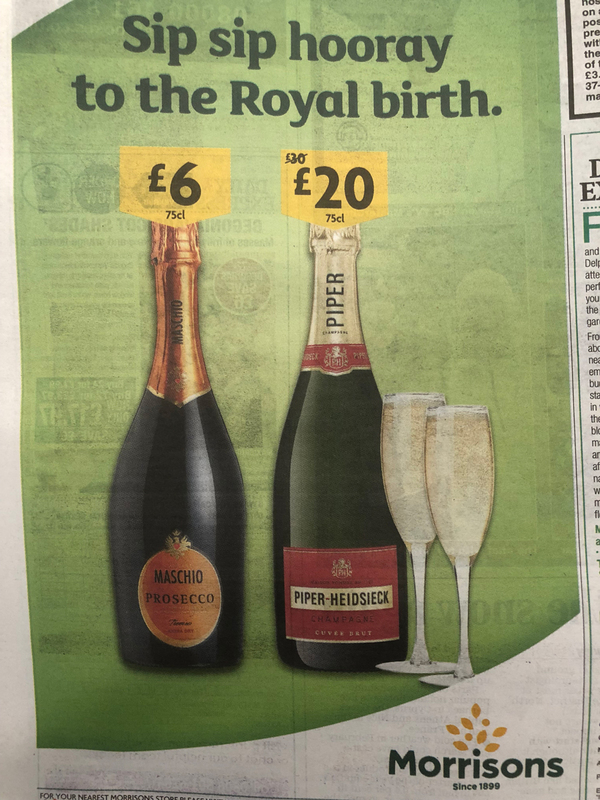 ...and Morrisons pushed some on-offer booze. 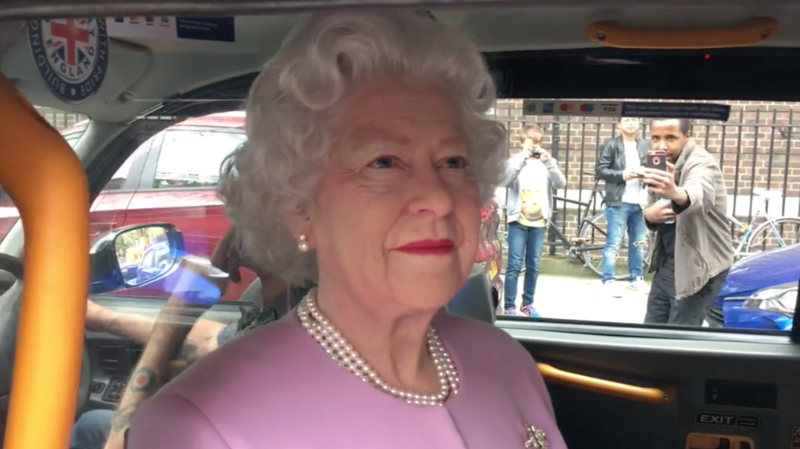 Perhaps the most bizarre brand activation to come out of yesterday's news was Madame Tussauds' waxwork Queen turning up to St Mary's Hospital in a taxi. The life-like faux monarch certainly would have fooled an onlooker or two. 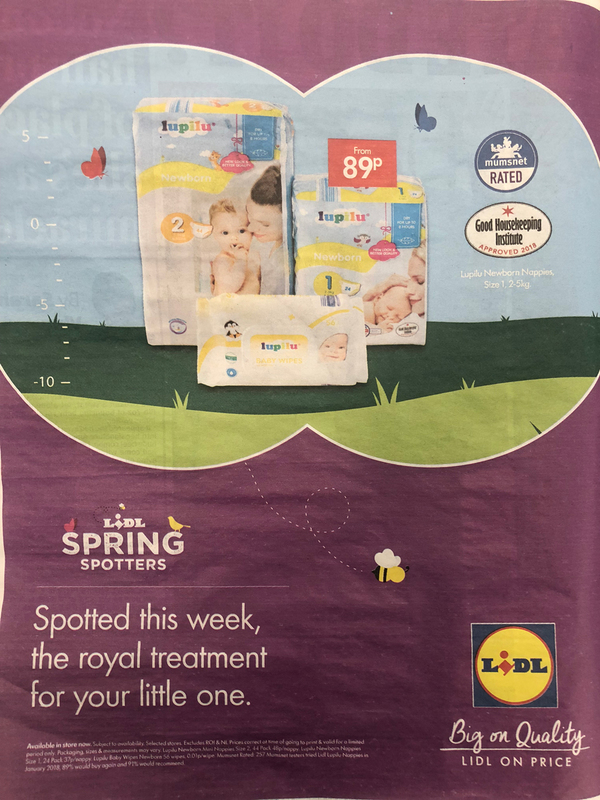 While a royal birth is an unmissable opportunity for many a brand to flog its wares, we were particularly impressed by the word association of Worktop Express. Eagle-eyed readers will have noticed that the Duke and Duchess of Cambridge have had other children quite recently. In 2015, Pizza Hut celebrated middle-child Princess Charlotte's arrival by offering free meals to to women with the same name. But Warburtons stole the show with the best pun - "a Royal toast". 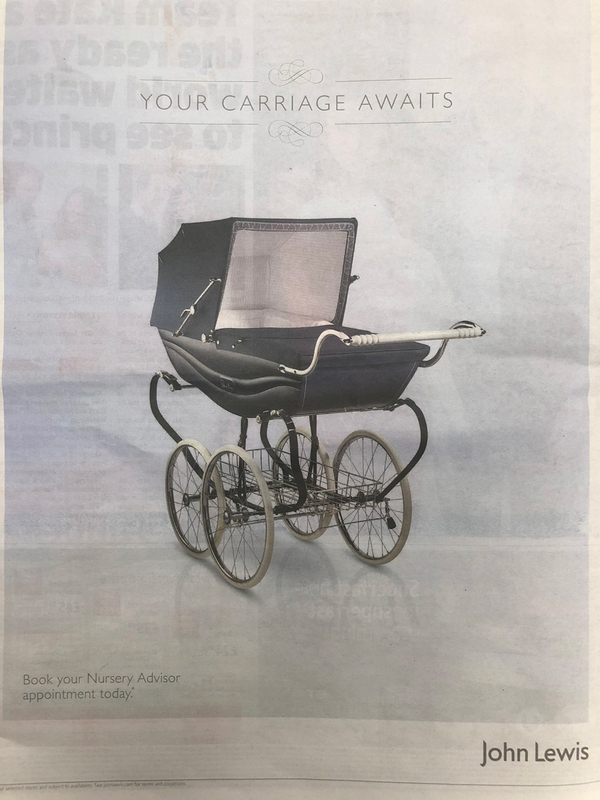 When Kate Middleton announced she was pregnant with a second child in September 2014, Nissan managed to put out a tactical ad within seven minutes.